Differential diagnosis of arrhythmogenic cardiomyopathy (ACM) during the disease latent phase is a challenging clinical problem that requires identification of early ACM biomarkers. Because extracellular nucleic acids are stable, specific, and can be easily detected, they can be used as reliable biomarkers of various diseases. In this study, we analyzed the levels of extracellular microRNAs and mitochondrial DNA in the conditioned medium collected from cardiomyocytes differentiated from induced pluripotent stem cells of ACM patients and healthy donor. Several microRNAs were expressed differently by the affected and healthy cardiomyocytes; therefore, they could be considered as potential ACM biomarkers. Russian Text © A. A. Khudiakov, N. A. Smolina, K. I. Perepelina, A. B. Malashicheva, A. 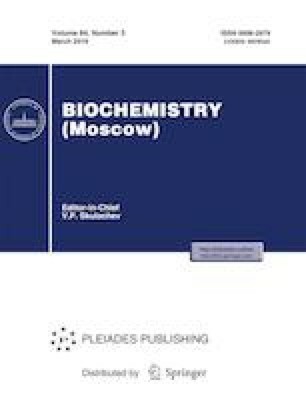 A. Kostareva, 2019, published in Biokhimiya, 2019, Vol. 84, No. 3, pp. 392–403.